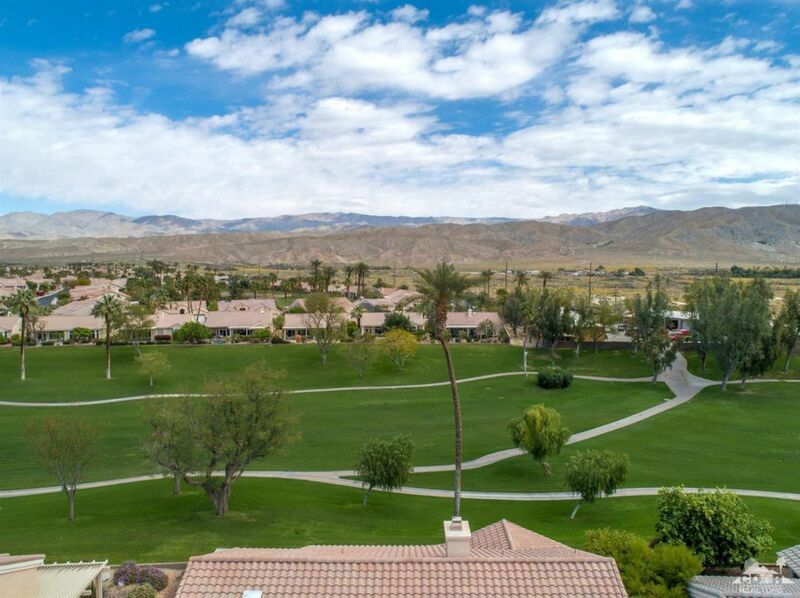 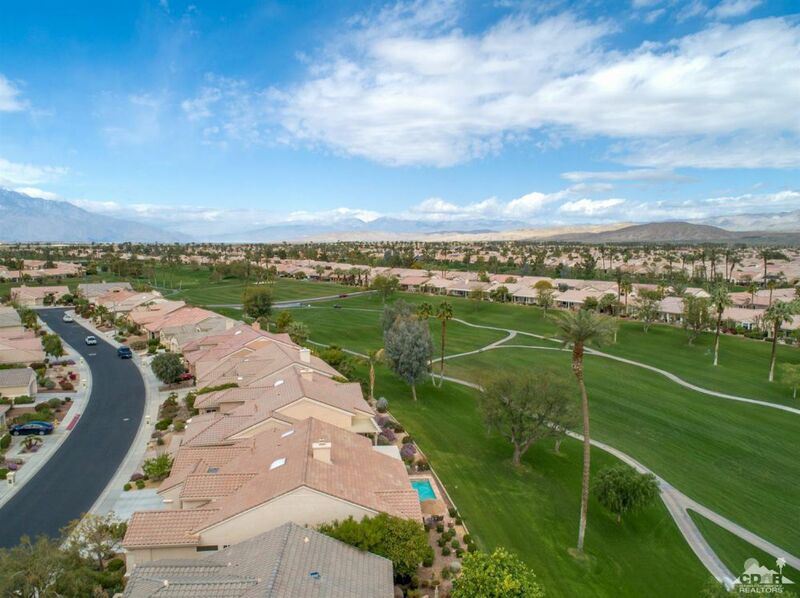 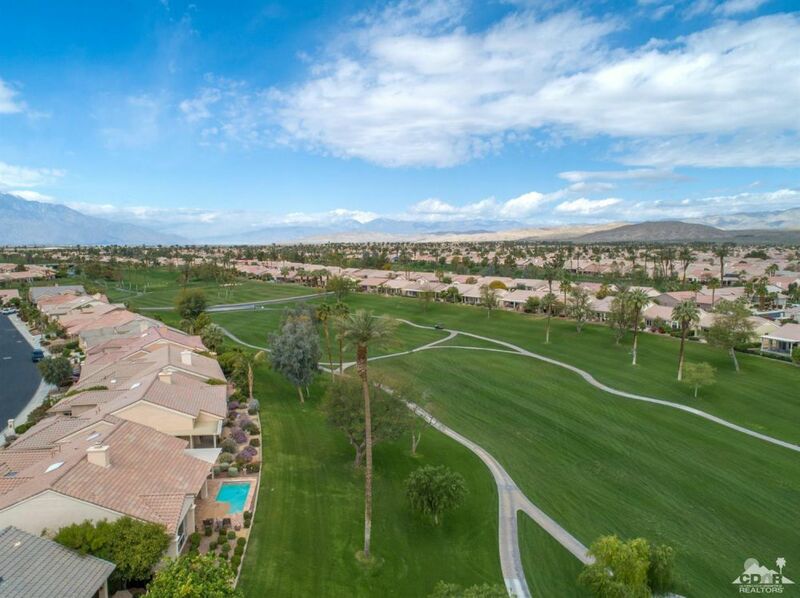 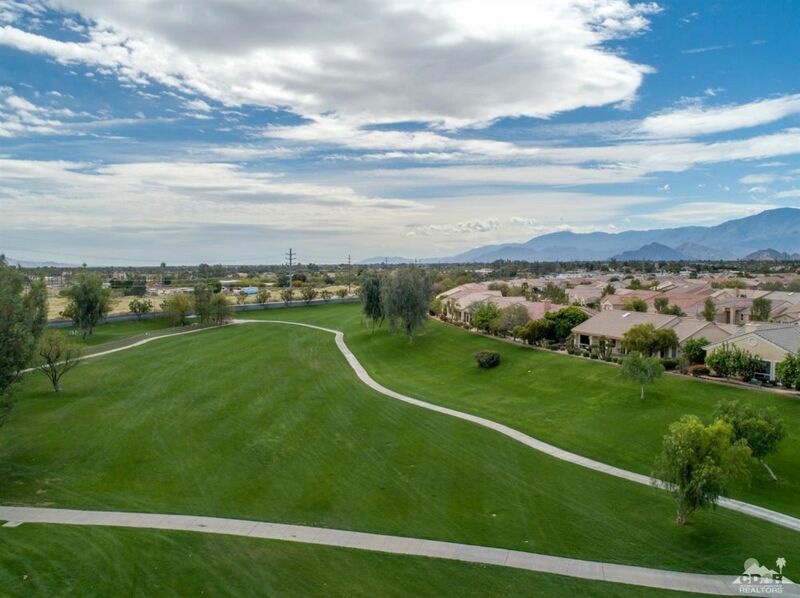 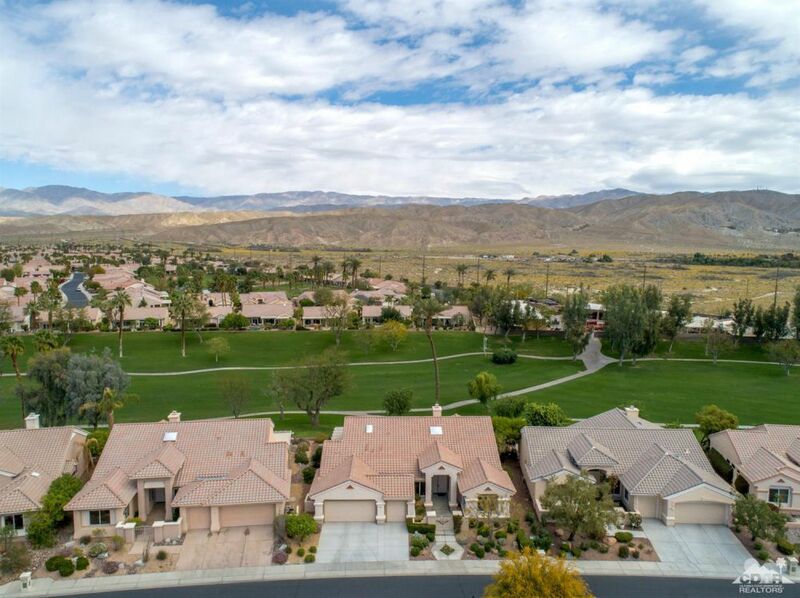 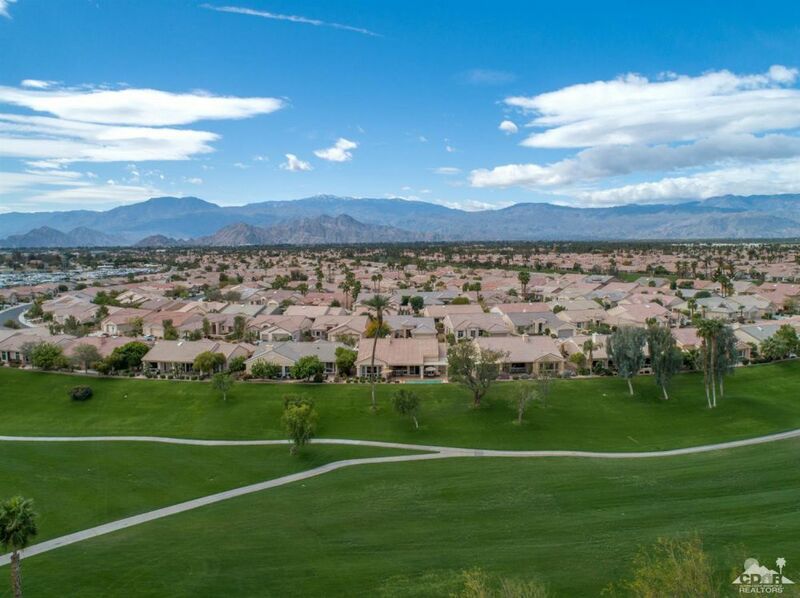 MLS #: 219008699 | Built 1999 | Lot Size: 0.1700 Acres | Area: Sun City | Price/SqFt: $ 212 per sq.ft. 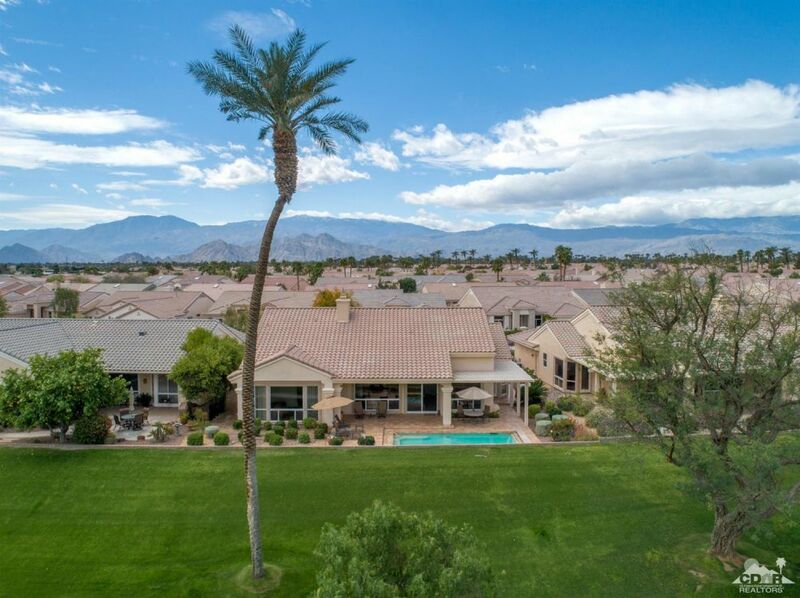 Sun City Palm Desert- St. Tropez. 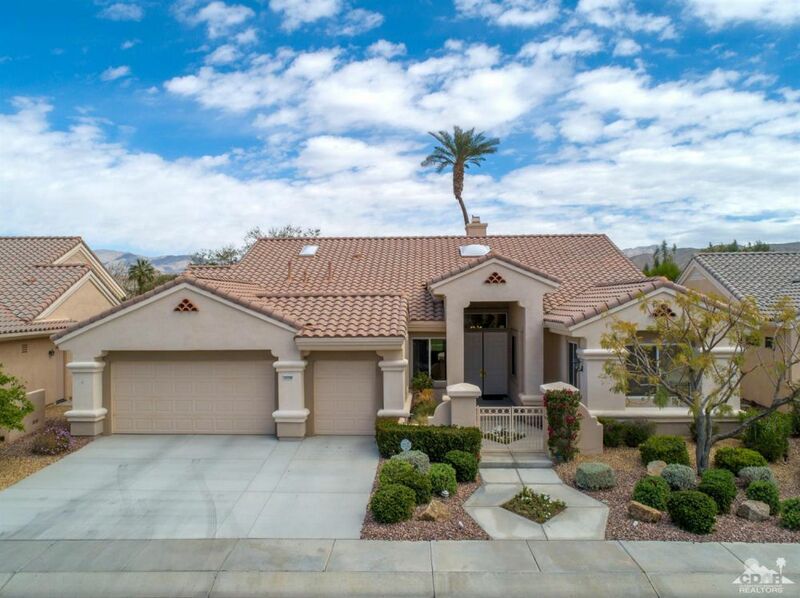 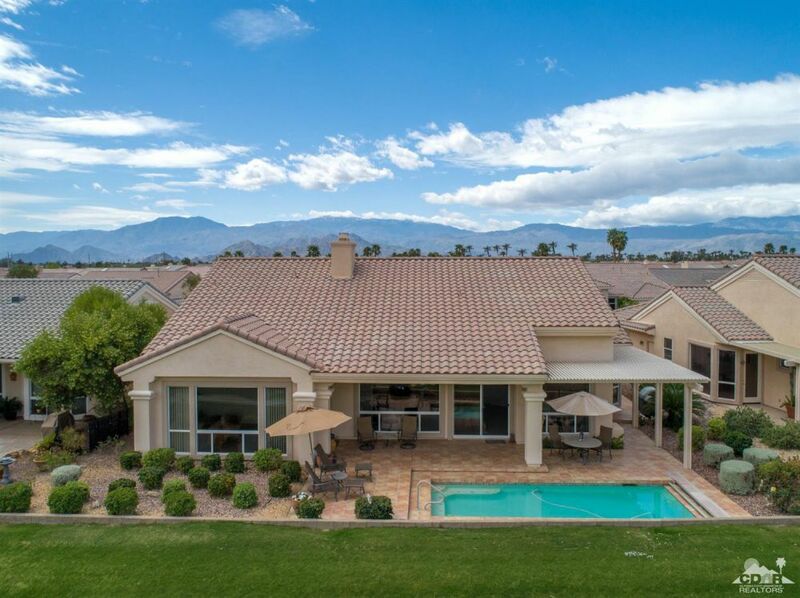 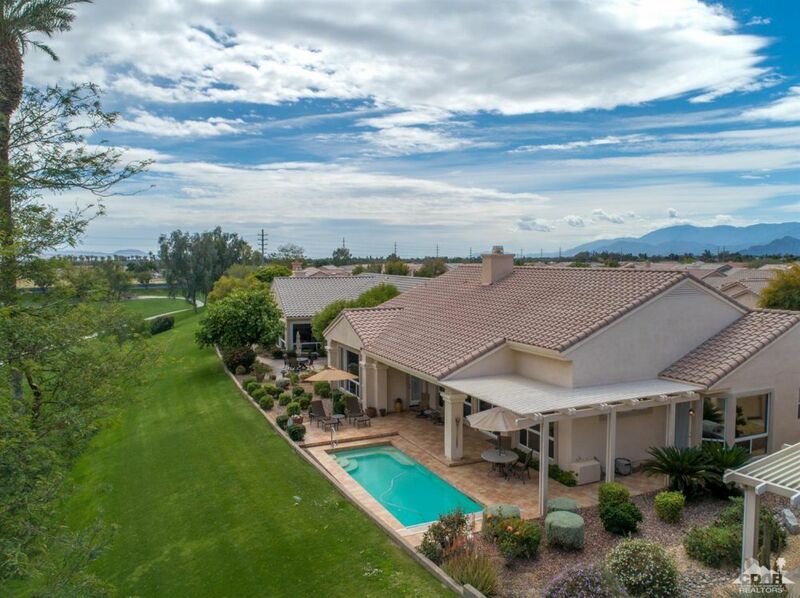 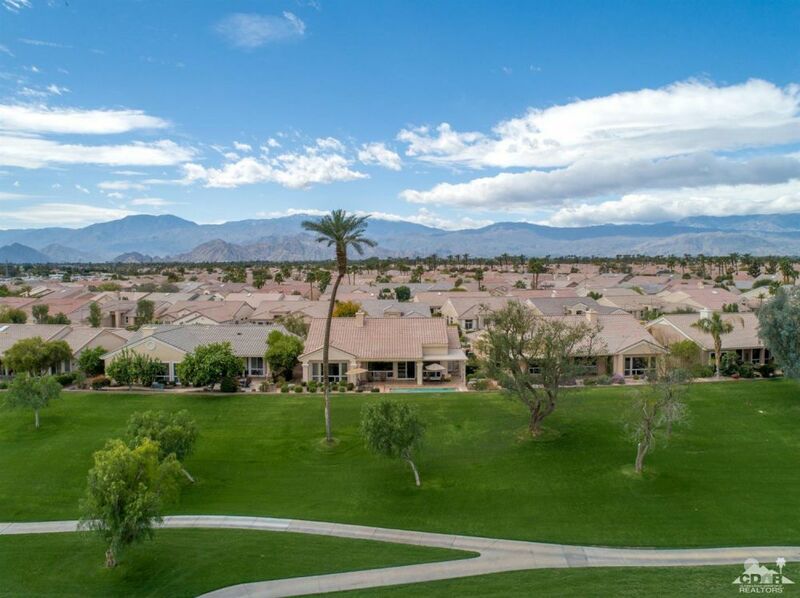 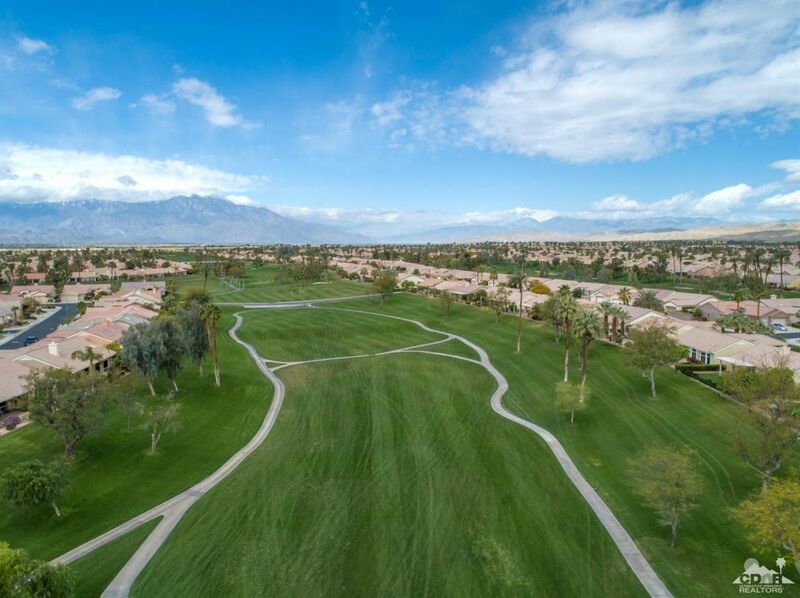 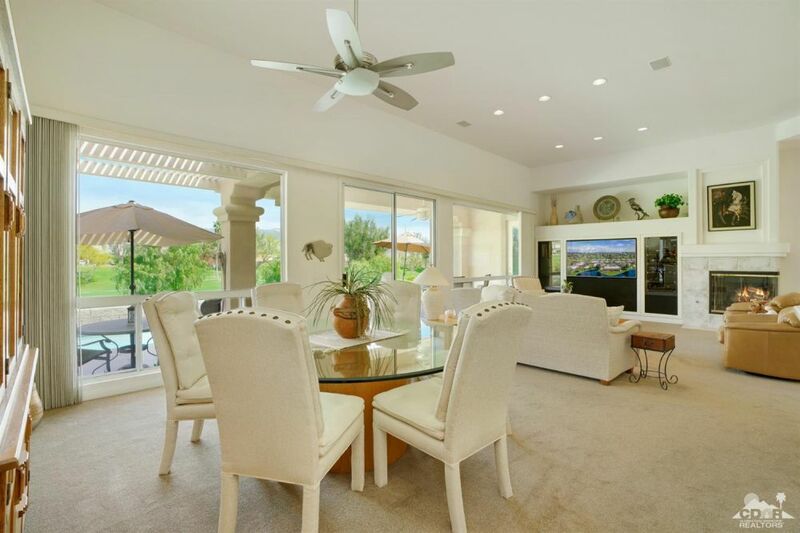 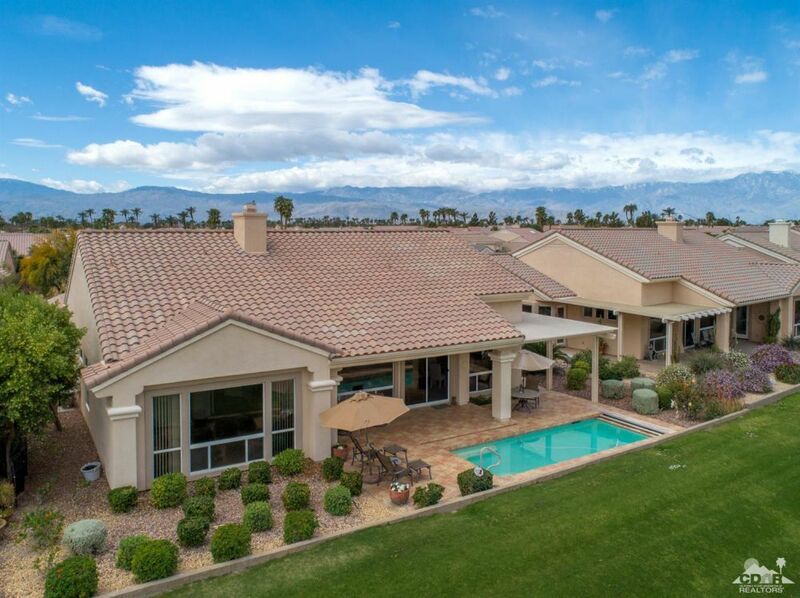 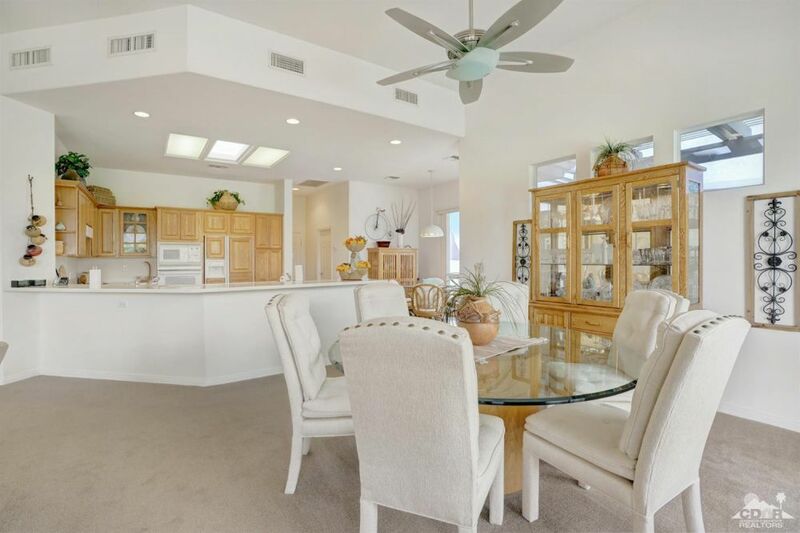 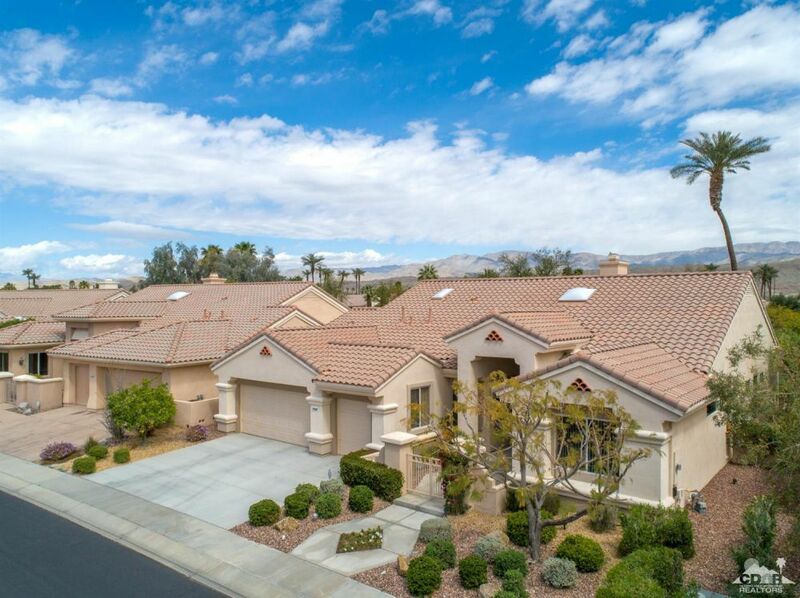 Located between the Mountain View & Sunset View clubhouses, this estate model home sits high above a lush greenbelt with panoramic mountain views. 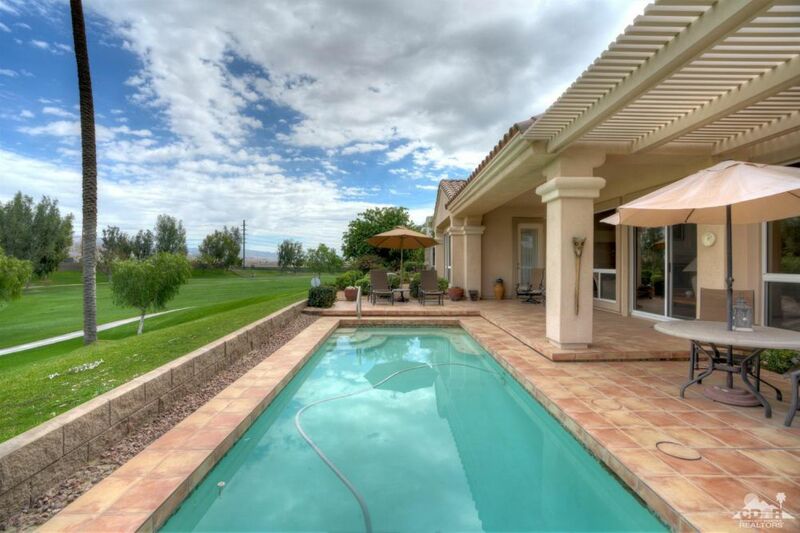 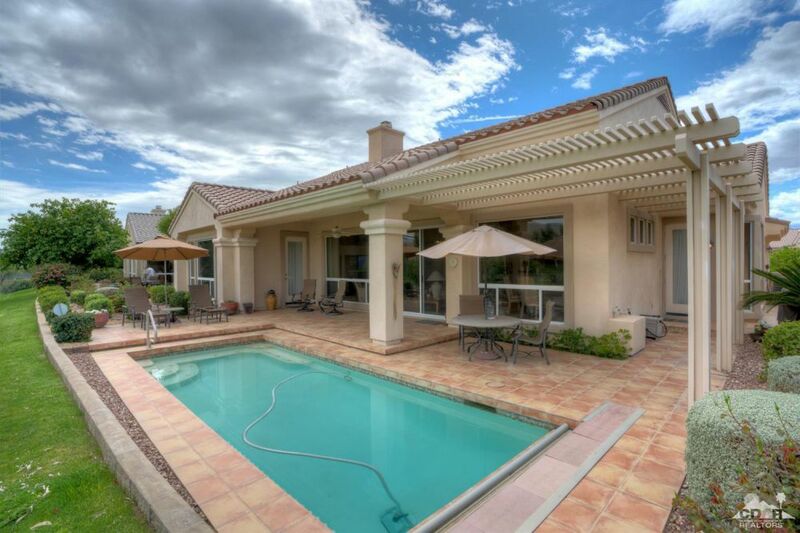 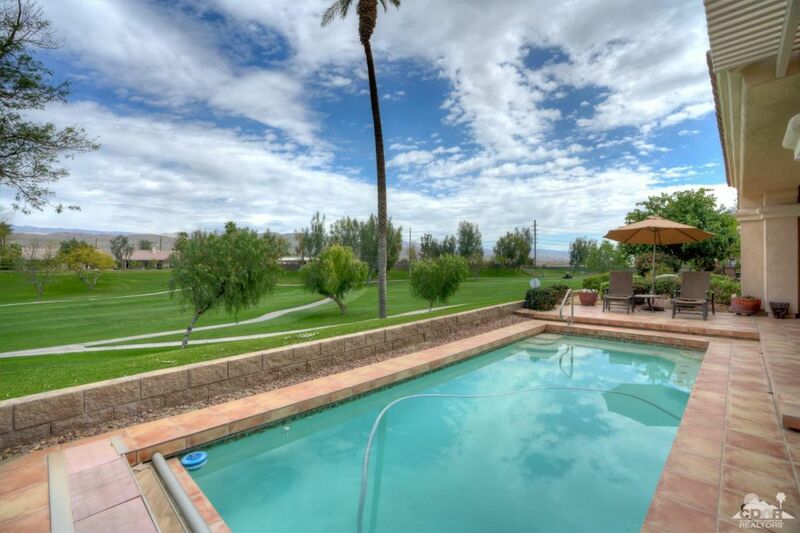 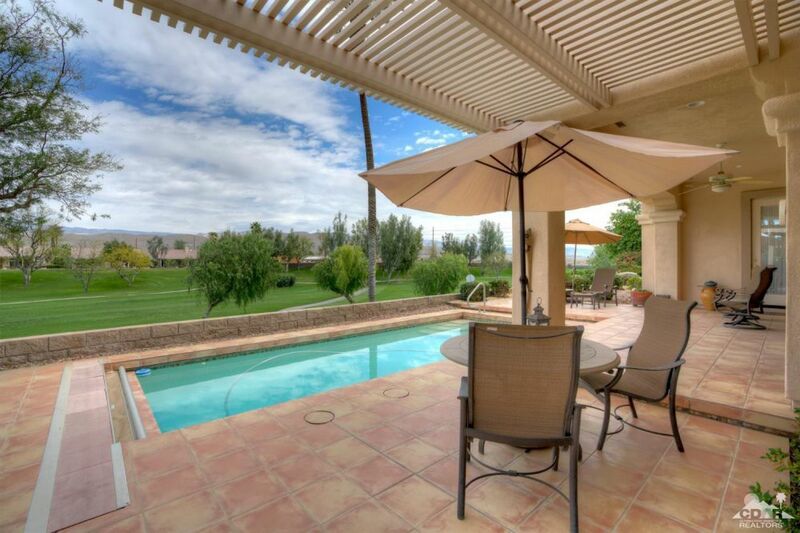 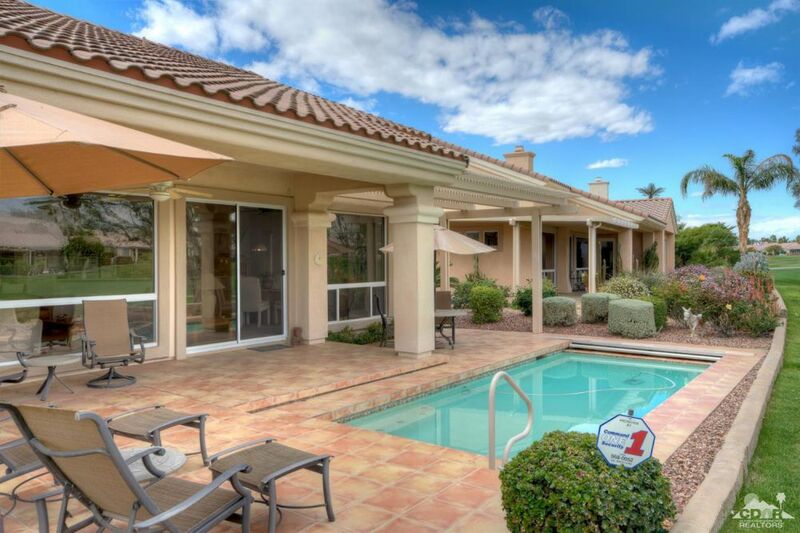 The north facing rear yard features a pool w/retractable cover & a spacious tile patio. 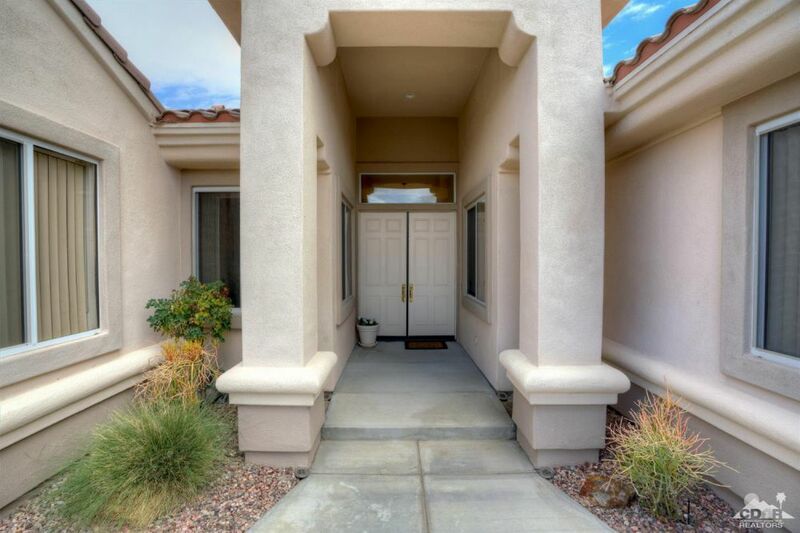 A gated courtyard & double doors provide curb appeal. 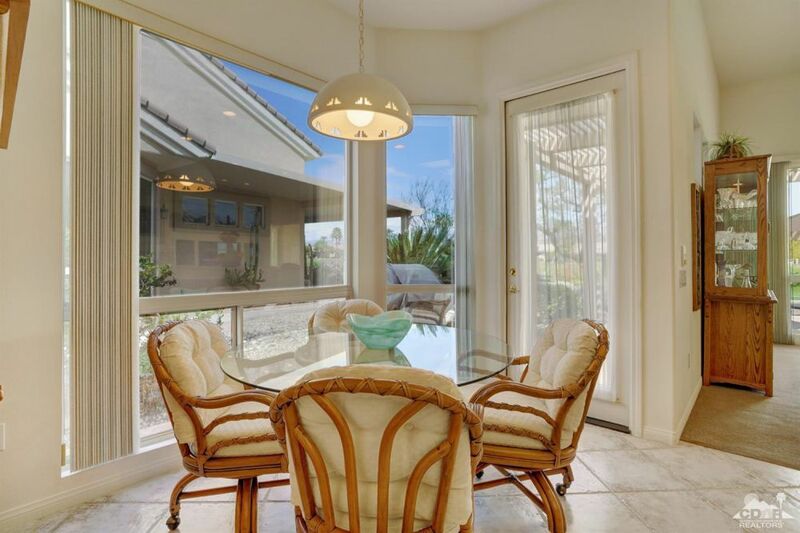 Inside, 12ft ceilings are in the foyer & greatroom that features a wall of windows for viewing the greenbelt & mountains. 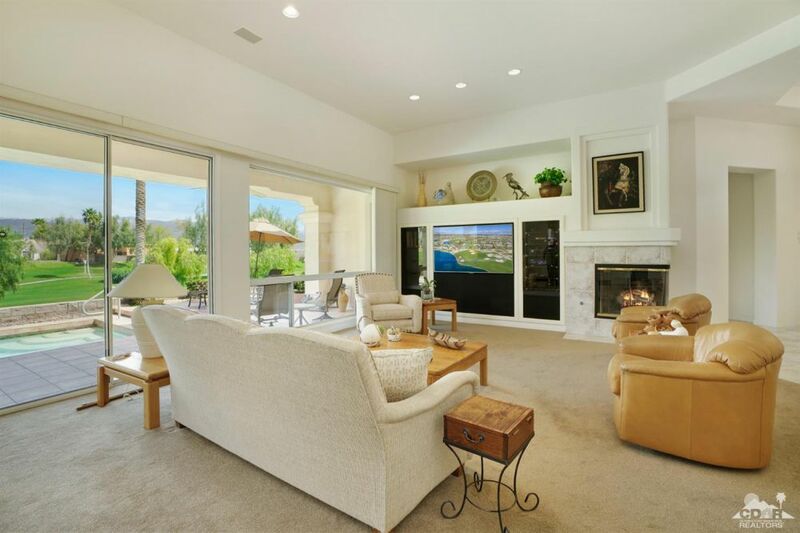 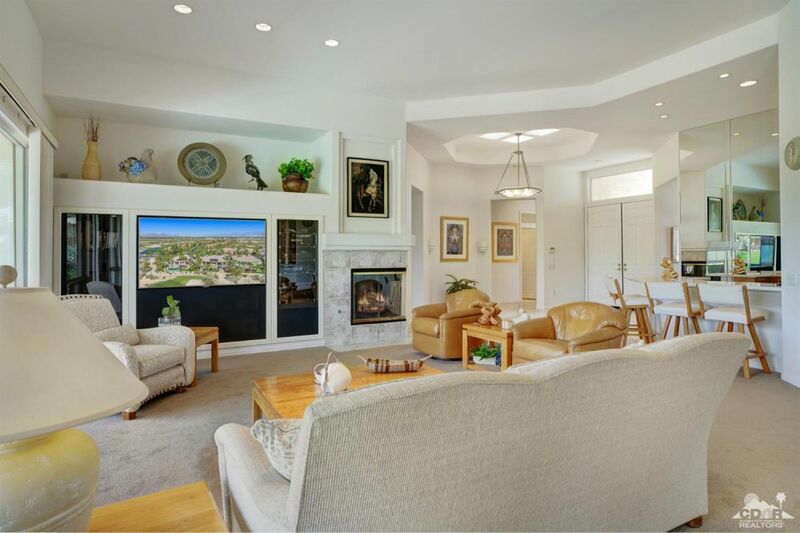 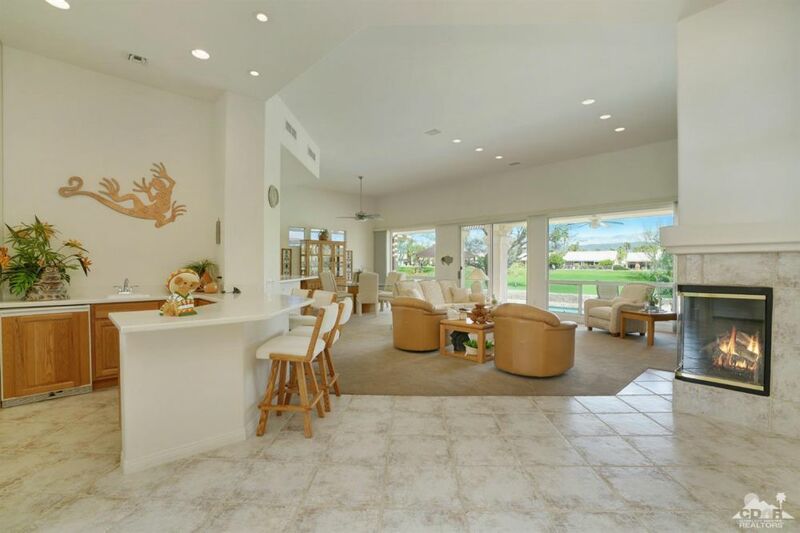 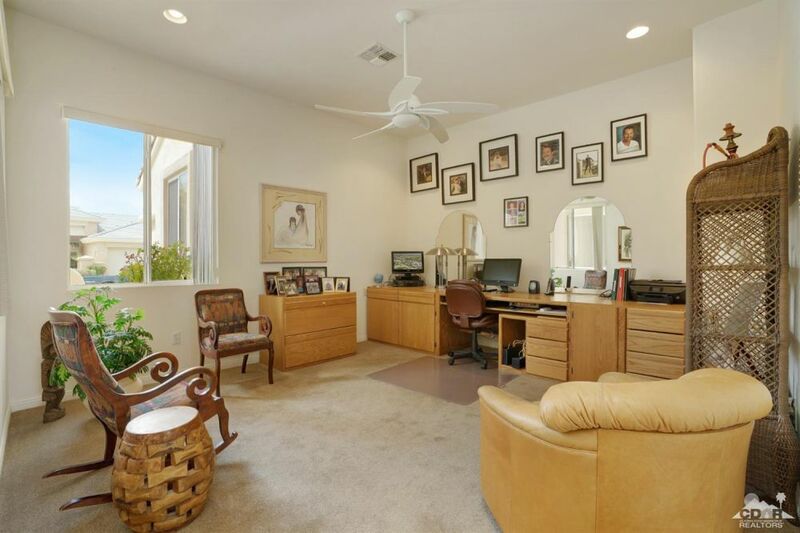 A corner fireplace, builtin media center & sit down wet bar w/fridge make the home great for entertaining. 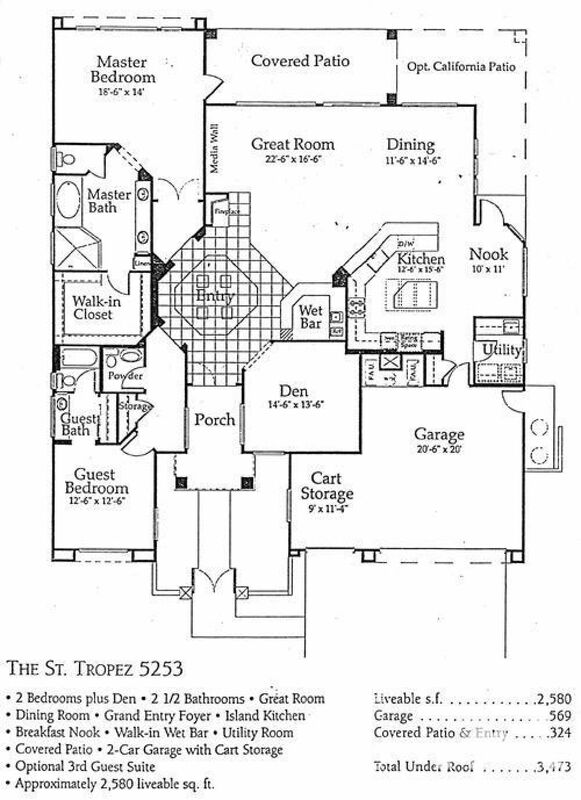 A den is just off the greatroom. 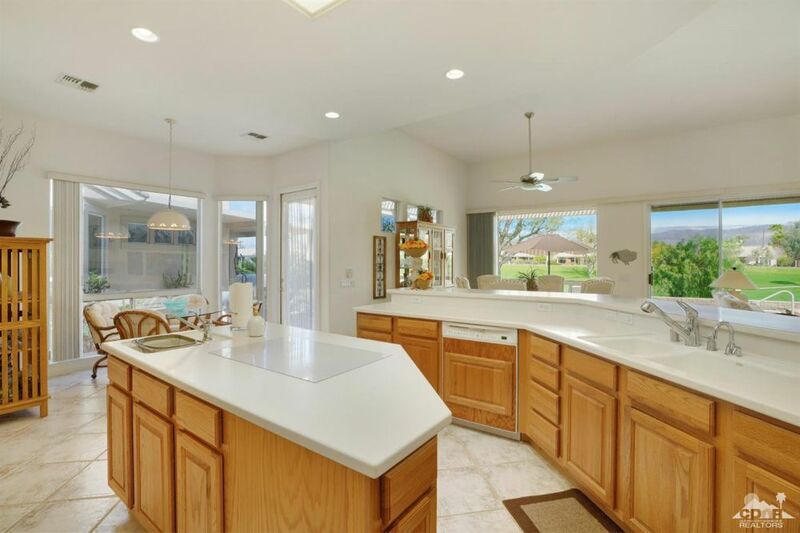 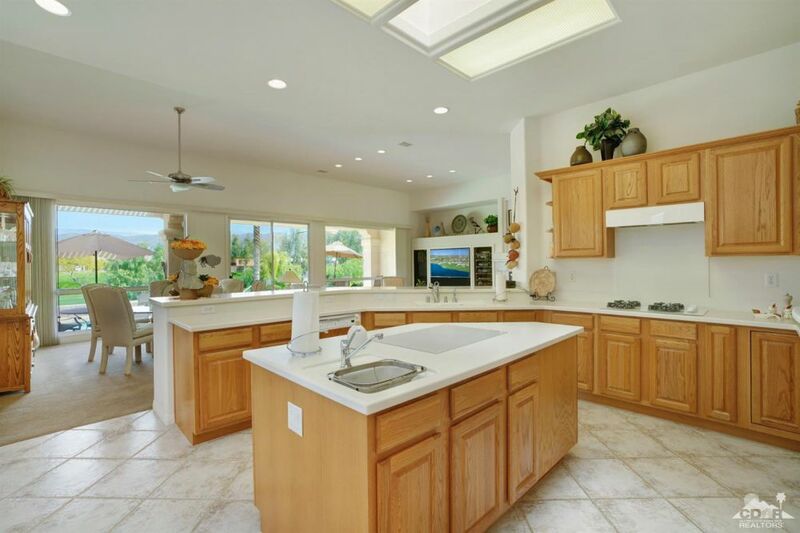 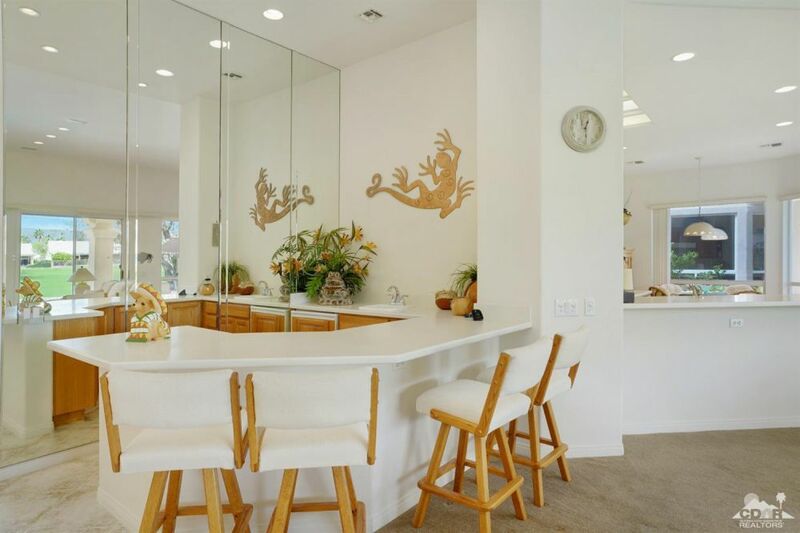 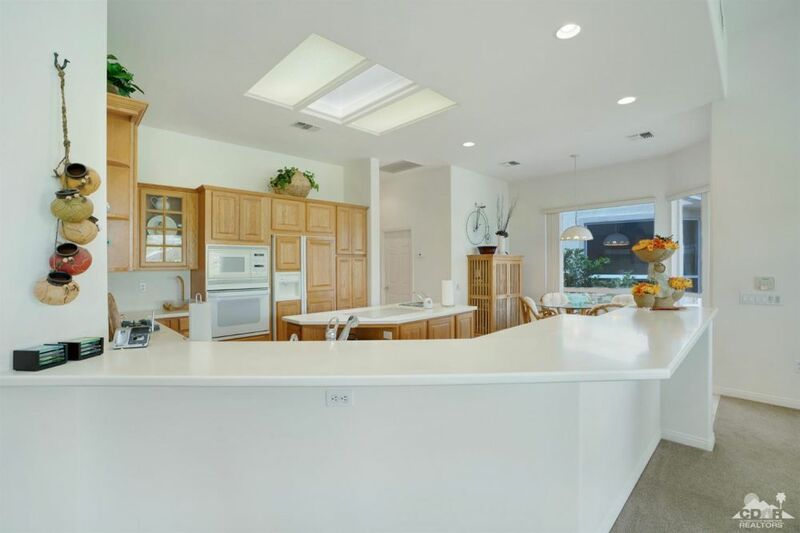 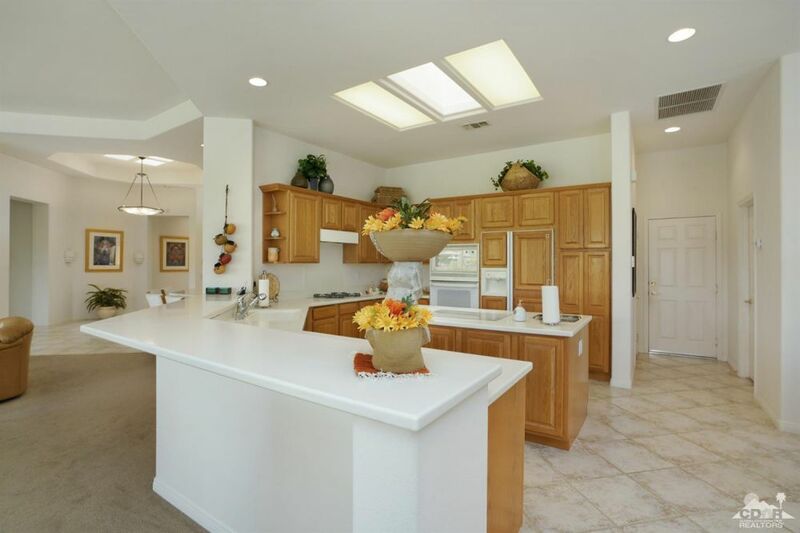 The kitchen has corian counters, a chef's island w/vegetable sink & a skylight. 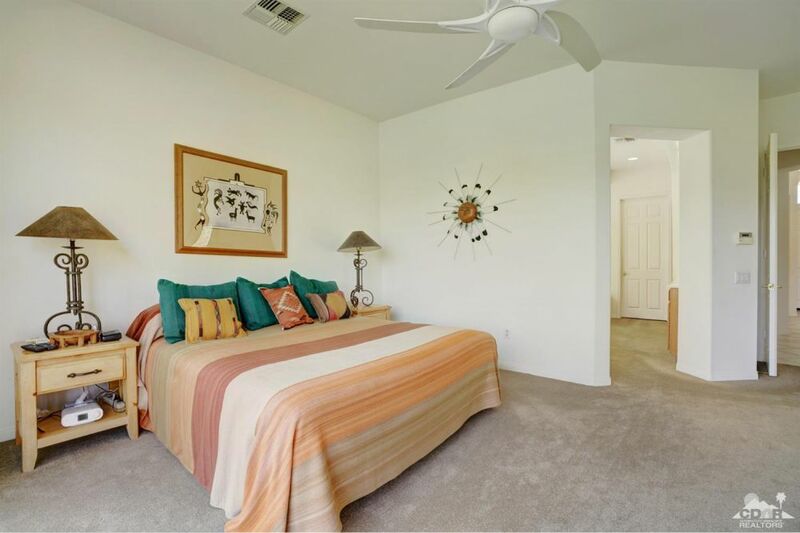 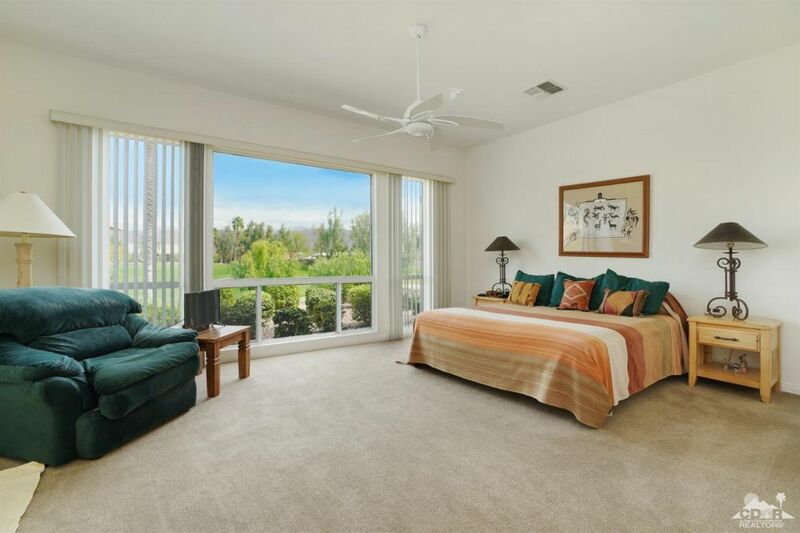 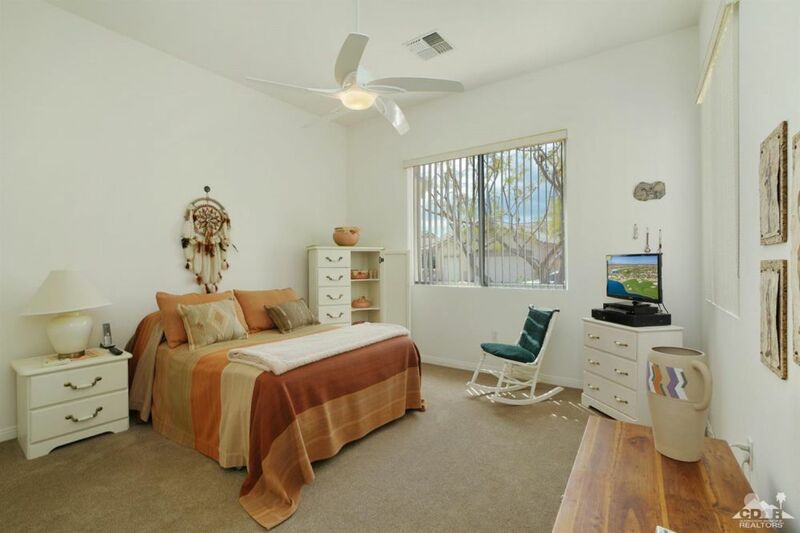 The spacious master suite has a door to the pool & huge walkin closet. 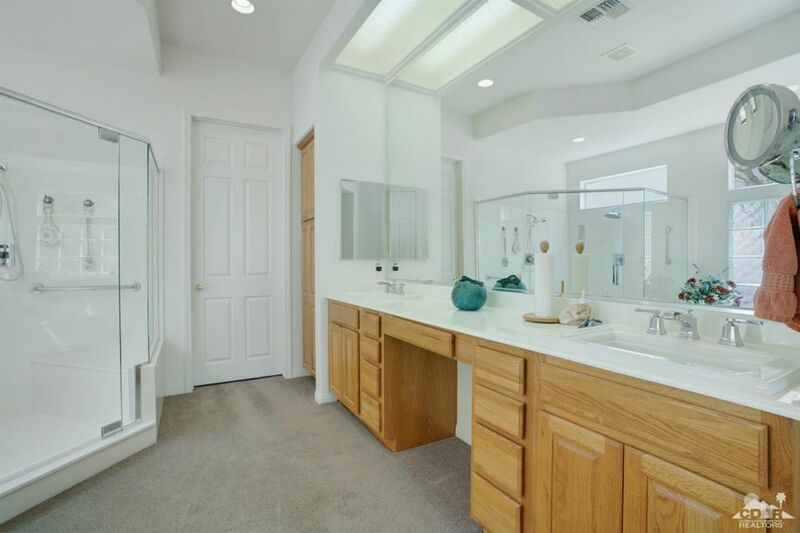 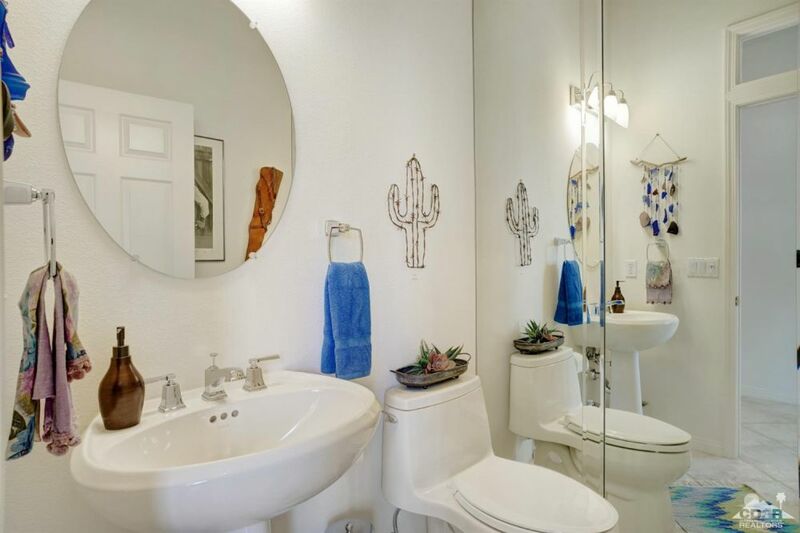 The master bath has upgraded dual sinks & hardware, an oversized tub & a stall shower w/2 heads. 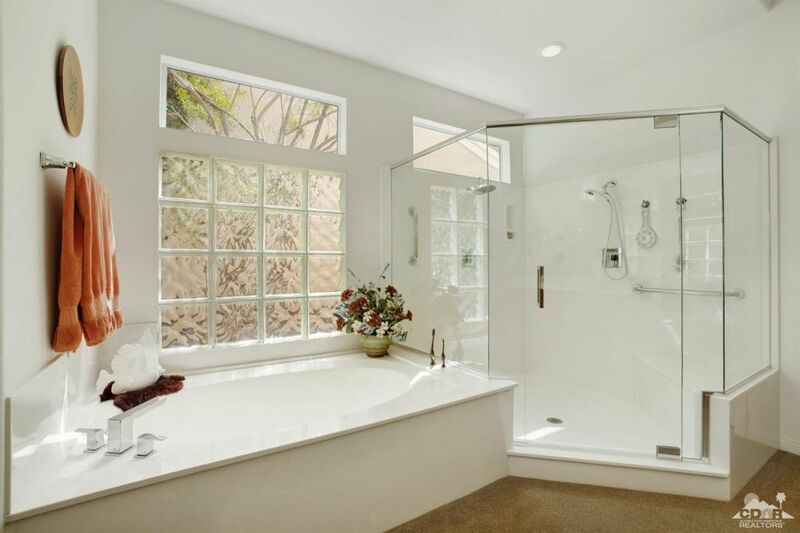 The guest suite bath has a stall shower, upgraded sink & hardware. 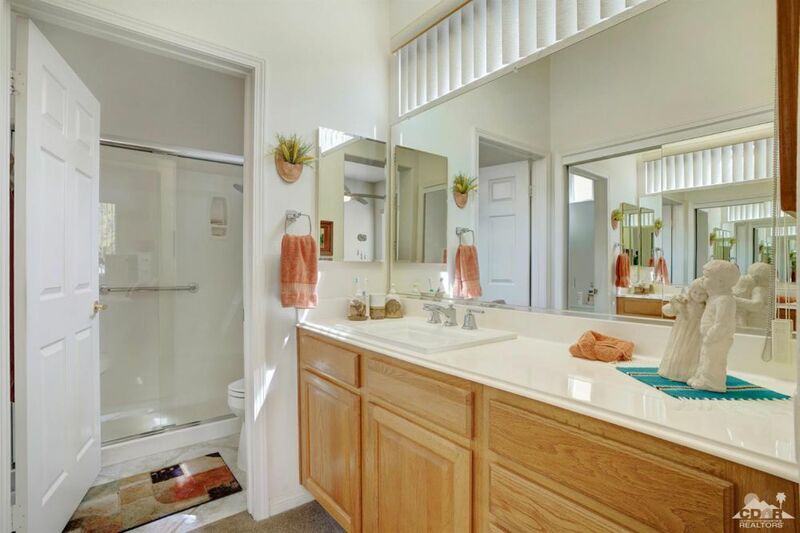 The laundry room has builtin storage & a utility sink. 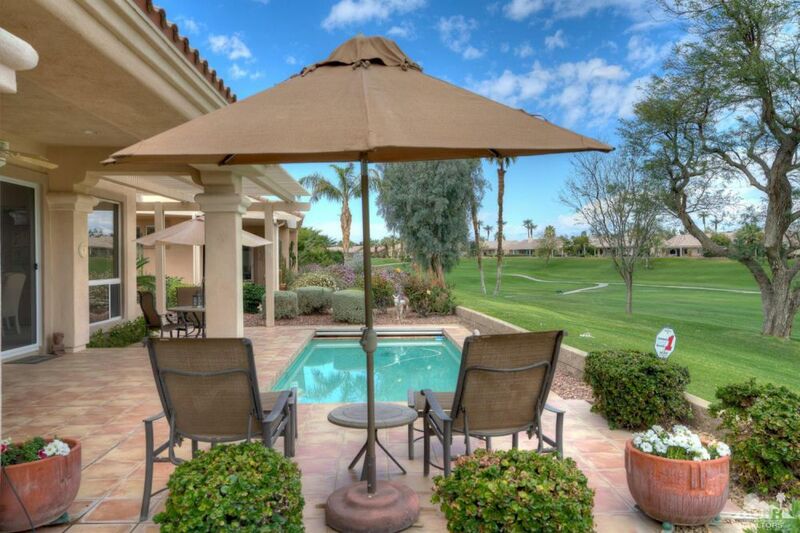 The 2+ golf cart garage has abundant storage.